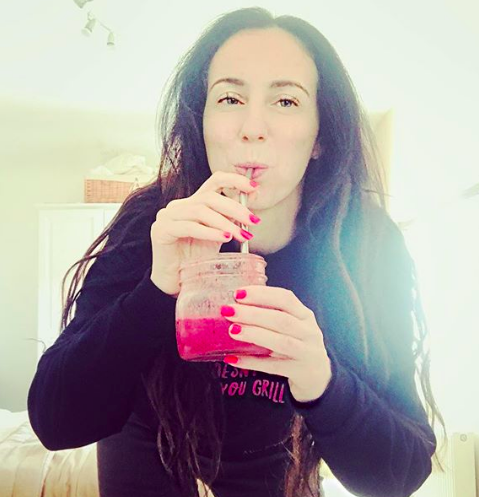 SINGLE MUM FROM BRIGHTON IS CELEBRATING GROUND BREAKING RECOVERY FROM BED BOUND ILLNESS THIS VEGANUARY! Jessica Michael, now known on social media as “Miss Superfood” uses a whole food, raw, vegan diet to fight off her bed-bound Chronic Fatigue Syndrome (also known as M.E). Running the London Marathon in just over 4 hours proved to health professionals that she has overcome the debilitating health condition that is notoriously hard to end. Jessica used a diet comprised of plant food, consumed in it's raw and natural state to get her health back. She experimented and formulated her own way of eating to achieve this because at the time there were no real guidelines available. Despite patients rarely making a full recovery from the illness, this Veganuary, Jessica is celebrating 17 years into her Chronic Fatigue recovery, and says she has never felt better. Many people suffer for years with M.E, and it never goes away, just into remission for short periods of time. However Jessica has managed to prove that with her vegan diet and lifestyle, it has been possible to end the condition. Staying symptom-free for 17 years is unheard of. At 19 years of age, Jessica was bed bound and found daily life impossible to manage with the debilitating health condition. Now after adopting a vegan diet, Jessica has gone on to have two healthy children and become a long distance runner with popular running club, Vegan Runners. Jessica says that turning vegan was something she originally did for health, however once she learnt more about animal agricultural standard practices, this kept her happily vegan and she felt compelled to speak up for the animals. Jessica now lectures on how to go vegan and why we should be doing this for ethics, better health and a more sustainable environment. She also has her own vegan skincare line and organic clothing brand.